Costa Rica is heaven on earth for my husband and I; this embodiment of unhurried and abundant life. Our little slice of paradise is waking up just before sunrise, sipping a cup of coffee, watching clouds and fog slip around the mountaintops, and listening to macaws and parrots and howler monkeys welcome the new day. We are completely content doing nothing on our vacations. We might dabble a bit in hobbies, read, draw, or write, but we've not made a point to get out and try the activities Costa Rica is known for. So, when we vacationed in Costa Rica last August, we decided on a tour. We'd heard a lot of good things about the dolphin and whale-watching tours, so we booked one. Am I ever so glad we did! What a humbling, awe-inspiring, amazing experience. Dolphins swimming right next to the boat, so close you can almost touch them. And the whales, what gentle giants. 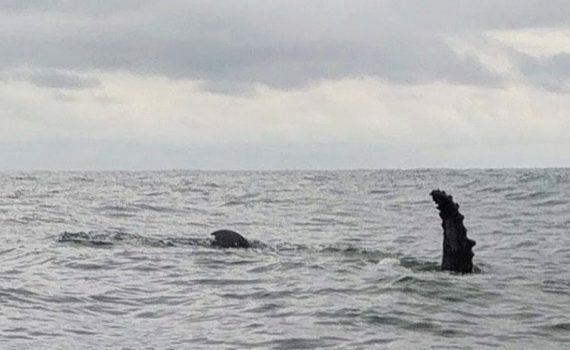 There is nothing quite like watching a baby whale play; breaching, flipping, rolling. It is beyond words. I cannot say enough about the Costa Rica Whale Watching tour; the guides were all knowledgeable, very focused on safety, and went out of their way to make the experience memorable. They even packed fresh fruit for us to snack on while we were out. 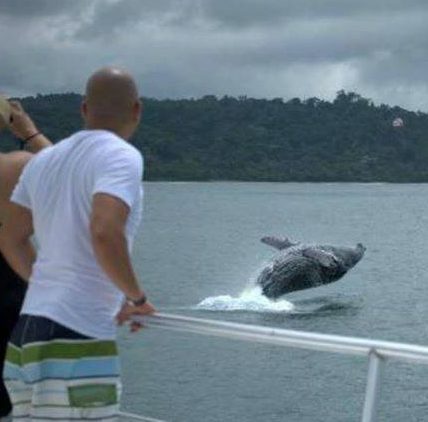 I plan on repeating the Costa Rica whale watching tour...and this time, take lots of video!